No more tears. Bubbly bath time fun. Lots of big, fluffy bubbles to gently cleanse delicate skin. Free from parabens, sulphates & dyes. As gentle to the eyes as pure water. Cleanses without drying delicate skin. Paediatrician and dermatologist tested. As your child grows, their skincare needs change. Our children's products are specifically designed to be gentle on developing skin. Hypoallergenic * *Formulated to minimise the risk of allergies. To Use: Ideal for daily use. Add to running water and swirl by hand to create big, fluffy bubbles. 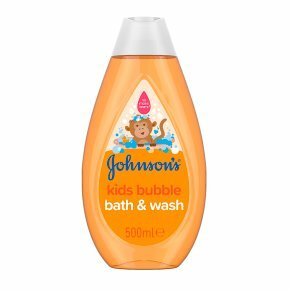 Alternatively, place a small amount on hand or sponge and apply to your little one's skin, lather and rinse.